Although art and scholarship are generally considered as mutually exclusive methods and epistemologies, I examine how these two different ways of thinking influence and construct each other within “cinematic thought,” a notion that I put forward with and through the interdisciplinary work of Mieke Bal. While a considerable amount of studies explore “artistic research” within art, little attention has been given to approaches of arts-based research within the humanities. Yet, current critical practices are increasingly including aesthetic practices: Mostly known for her academic work, Bal explores subjects of migration, identity construction and difference not only through the writing of texts, but also through the making of films, video installations and exhibitions. In so doing, she destabilizes disciplinary boundaries and challenges conventional dichotomies such as theory versus practice. However, there is hitherto no comprehensive analysis of her artistic work investigating film and filmmaking as a (medium-)specific mode of thought and knowledge production. Within my PhD project, I aim at outlining and analyzing this new field of cinematic research within “cultural studies” and to disclose the productive intersections that arise when crossing over between academic theory and artistic practice, or artistic theory and academic practice. Thereby, the relation between thought, movement and space lies at the core of the analysis. Departing from Jean-Luc Godard’s understanding of cinema as a “form of thought” (2007), I employ the term “cinematic thought” to explore both the act of thinking through and the thought of the cinematic. The guiding assumption is that cinematic thought integrates both “conceptual” (Deleuze and Guattari 2011) and “sensuous” (Baumgarten 2007, Kjørup 2006) forms of knowledge. I suggest focusing on possible syntheses between sensuous and intelligible forms of thought, or what Deleuze would call “mobile relations” of philosophical concepts and artistic constructions (Deleuze 1995). However, it stands to reason whether cinematic thought creates knowledge or has rather to be seen as a critique of “encyclopedic” forms of knowledge and representation. With the term “knowledge procedure” (inflecting Alain Badiou’s “truth procedures”, 2005), I further aspire to propose a more critical understanding of knowledge, pointing out the performative character of this epistemology, that is, in the literal sense of cinematic, constantly “on the move”. Anna-Helena Klumpen studierte Europäische Medienkultur an der Bauhaus-Universität Weimar und der Université Lumière Lyon 2, und absolvierte einen Forschungsmaster in Cultural Analysis an der Universiteit van Amsterdam. 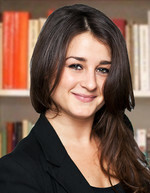 Sie ist seit 2011 assoziiertes Mitglied der Amsterdam School vor Cultural Analysis und seit 2013 Stipendiatin der a.r.t.e.s. Graduate School for the Humanities Cologne. Unter der Betreuung von Prof. Dr. Ursula Frohne (Universität zu Köln / Westfälische Wilhelms-Universität Münster) und Prof. Dr. Volker Pantenburg (Freie Universität Berlin) promoviert sie zu dem Thema „The Cinematic Thought of Mieke Bal: Creation and Critique of Knowledge at the Intersection of Art and Theory“ (Arbeitstitel). Zu Anna-Helenas Forschungsschwerpunkten zählen Methoden interdisziplinärer und intermedialer Forschung, Fragen zum (spezifischen) Denken und Wissen der Kunst, insbesondere zeitgenössischer Film- und Videoinstallationskunst, philosophische Ästhetik und kritische Theorie. Sie veröffentliche unter anderem die Aufsätze „Des sons de la pensée-ciné“ (Toulouse, 2013), „Identité-mosaïque à l’ère de la mondialisation“ (Berlin, 2011), und „Soundscapes of Madness“ (Amsterdam, 2011). An der Schnittstelle von Kunst und Wissenschaft bewegen sich auch ihre freiberuflichen Tätigkeiten als Kuratorin und Kunstvermittlerin (u.a. Deneuve Cultural Projects, 3rd International Madness & Arts Festival, Niet Normaal: Difference on Display). Im Rahmen der a.r.t.e.s. galerie ko-kuratierte sie die Ausstellung „Das Büro: Interferenzen zwischen Kunst- und Wissensraum“ (2014). Anna-Helena lebt und forscht in Berlin und Köln. „Thought-Images: An Epistemology of the Close-Up in the Film Glub (Hearts)“, 30.01.2016, Institut für Kunstgeschichte, Westfälische Wilhelms-Universität Münster. 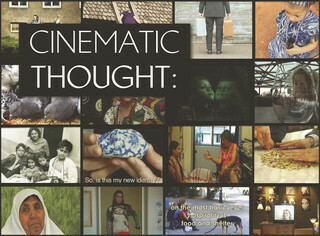 „Cinematic Thought: From Auteur Theory to Auto-Theory and Plural Authorship“, 31.01.2015, Kunsthistorisches Institut, Universität zu Köln. "Au-delà de l’aléa", Künstlergespräch mit Lea Letzel im Rahmen des Symposiums anlässlich der Ausstellung „Das Büro: Interferenzen zwischen Kunst und Wissensraum“ der a.r.t.e.s. galerie, 04.07.2014, Kunsthochschule für Medien Köln. „Knowledge on the Move: Cinematic Thinking With and Through the Film Glub (Hearts)“, Symposium LaborARTorium - Forschung in Kunst und Wissenschaft, 06.12.2013, Ludwig-Maximilians-Universität München. „Cinematic Thought: Performative Knowledge Production at the Intersection of Art and Scholarship“, a.r.t.e.s. Forschungskolloquium, 08.10.2013, Schloss Wahn, Köln. „Kulturwissenschaftliches Forschen mit Film.“ Gastvortrag im Rahmen des Kolloquiums Filmwissen des Institute for the Performing Arts and Film (IPF), 08.11.2012, Zürcher Hochschule der Künste, Zürich. „Histoire(s) de la folie: Des fictions théoriques d’un phénomène inintelligible.“ Gastvortrag im Rahmen des Seminars Sur la route: écrire la langue de la folie von Prof. Jean-Max Gaudillière und Prof. Françoise Davoine, 13.04.2012, École des Hautes Études en Sciences Sociales (EHESS), Paris. „Soundscapes of Madness: Listening to Echoes of the Past.“ Gastvortrag im Rahmen des Workshops Curating: From Film to Exhibition, organisiert im Auftrag des Kuratorenprogramms des De Appel Arts Centre (Amsterdam), 05.01.2012, Aboa Vetus & Ars Nova Museum, Turku, Finnland. „A woman must have money and a room of her own if she is to write fiction“, schreibt Virginia Woolf 1929 in ihrem Essay A Room of One’s Own. Übersetzt ins 21. Jahrhundert und übertragen auf den akademischen Kontext erfüllt a.r.t.e.s. mehr als nur die Grundvoraussetzungen für erfolgreiches wissenschaftliches Arbeiten: die Graduate School schafft darüber hinaus einen Raum der Begegnung und des Dialogs – zwischen Disziplinen, Generationen und Institutionen, der es erlaubt, die eigene Forschung in Relation und zur Diskussion zu stellen."